Dr. Melanie Battistone has been selected as Waterford’s new Lower School Head for the 2018-2019 school year. Melanie is a skilled and experienced school leader who was selected from an extremely strong candidate pool following a collaborative search by a team of parents, faculty and administration. After five inspirational years of leadership, Susan Johnsen will return to the classroom next fall. Susan’s dedicated care and thoughtful wisdom have resulted in so many wonderfully formative experiences for children. We are grateful for her service and look forward to honoring her at our year-end all-employee meeting. We also look forward to seeing her continue her work on behalf of Waterford students in the classroom. Currently Melanie serves as the Associate Head of School at The McGillis School, a K-8 independent school in Salt Lake enrolling 440 students. Since her arrival in 2004, Melaniehas held several positions at McGillis including School Psychologist, Middle School Director, Assistant Head and Interim Head. 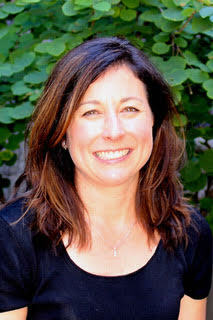 Melanie holds a doctorate in School Psychology and a Master of Science in Counseling from the University of Utah. Melanie and her husband Michael moved to Salt Lake City 25 years ago to pursue their educational goals. In addition to appreciating the natural beauty of the mountains as a place to feed her passion for the outdoors, she and Michael quickly realized that Utah was the perfect place to raise a family. Melanie and Michael are proud Waterford School parents of Benjamin ’17, Nathaniel, ’19 and Carolina ’21. Melanie is thrilled to join Waterford’s community of excellent educators, committed parents, and exceptional students, and can’t wait to begin getting to know Waterford better as she officially begins her duties this summer. She brings a profound depth and breadth of leadership capacity that will ensure continued dynamic growth in people and program that has been a hallmark of the Waterford Lower School experience. We look forward to several transition visits this spring where we will formally introduce Melanie to the Waterford community.